Lemon is a fruit in the citrus family, people like lemon due to its’ distinctive sour taste which consists of lemon juice. It is the citric acid in the lemon juice, which is about 6% which gives it its’ sour taste and its’ pulp is used for cooking and baking. It also serves as a key ingredient in many drinks and foods since the average lemon contains around 3 tablespoons of juice. Being a citrus fruit it is naturally high in vitamin C which is a well known natural remedy for gout and also has some vitamin B complex. Lemon juice is used as a natural remedy for many ailments that include dizziness, headaches, bleeding gums, nose bleeds, throat pain, anaemia, constipation, hiccups and even consumed for an easier childbirth. Lemons are available throughout the year but are mostly in season May to August. Like other fruits, lemons contain unique flavonoids that have antioxidant and anti-cancer properties. Studies have shown that citrus fruits like oranges, clementines, tangerine and lemons help to dissolve uric acid in your blood due to the higher levels of citric acid providing you with relief from a gout attack. It definitely should be included in your gout diet since lemon is also a stimulant to the liver. 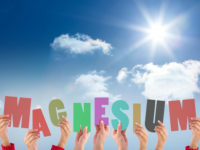 If your body is too acidic whereby your body’s pH level is too high or < 7, a state known as acidosis, uric acid will crystallize and cause you a gout attack or even worse it can form stones in the kidneys which you definitely don’t want. One way to improve the body’s acidity and remove it is by alkalinizing the urine and lemon juice stimulates the formation of calcium carbonate, which neutralizes acids like uric acid. Many gout sufferers drink freshly squeezed lemon in a glass of water after meals to prevent a gouty attack. It definitely improves the digestive system and did you know that it also reduces heat in your body and is the reason why lemon juice with water is given to you at restaurants in the summertime. How do I take lemon juice in my gout diet? How you can add lemon to your gout diet is as simple as taking the lemon juice of 1 or 2 lemons and adding it in your glass of cool water, first thing in the morning on an empty stomach would be best. You can also mix lemon with baking soda together which creates a perfect pH level of 7 in your body keeping it neutral. This helps restore balance almost instantaneously. Very simply add 2 tablespoons of lemon juice and ½ of tablespoon of baking soda in a glass of water and mix it very well for about two minutes to make sure it doesn’t foam or fizz, it must be flat before drinking! It will have the taste of flat water. Don’t add more or less with this recipe because it won’t be as effective. You can also infuse some slices of lemon inside a cup of hot drinking water twice daily. 100 g (3.5oz) lemon also includes 138 mg of potassium which is also very important for us gout sufferers. You want to include as much potassium as possible in your gout diet. By the way you can also try of any of these recipes with lime as well. I personally use lemons in my diet, I like to add it in my green tea in the wintertime, in my cool glasses of water in the summertime, as well I love to sprinkle it on my broccoli, swiss chard, rapini, spinach and in my salads. Having suffered gout attacks in past for 5 years, it was interesting to go thru experiences in comments. I had my first gout attacks in 2013 and doctor advised allopurinol medicine. It gave me serious headaches and was unable to concentrate on my day jobs so stopped it after 3 days and started controlling my diet. Stopped eating all non veg stuff – chicken and fish, stopped wheat and rice and switched to millet (potassium rich and good for weight loss). Started drinking 2 glasses of water with fresh lemon first thing in the morning. Stopped eating untimely. Have been eating 2 times a day 11am and 7pm of food containing millet and vegetables only. No milk or eggs as well. Replaced regular Salt by pink rock salt and cooking oil by home made Ghee. Have started drinking Green tea 4-5 times a day. Tried all the baking soda bath and intakes, its not good with all the excess sodium buildup and can have adverse effect as well. My weight has reduced from 80 kgs to 73 kgs and Uric acid levels from 8 to 4.5 and I have forgotten all painful gout days. However I still keep my diet under strict control to keep a healthy lifestyle. The broth from cooked kidney beans has been used to improve overall urinary and kidney health. It also helps dissolve and flush out the stones. Simply strain the liquid from cooked beans and drink a few glasses throughout the day. I’m from India and suffering gout from 2014… I used to get seasonal attacks when my body is not able to tolerate seasonal changes.. anyways recently in March 2018 I started drinking one litre of lemon water (3 lemons, mixed with pinch of salt and half tea spoon of sugar) every day. I used to have uric acid of 12… after use of lemon water everyday, I didn’t took test on my uric acid but recently I went for a uric acid test and I’m surprised that my uric levels are at 5.5.. so lemon water is working and mean while 10 times a month I took coconut oil in green tea mixed when green tea is warm (prefer night after dinner). and took apple cider venigar day after the day, in morning (1 or 2 table spoon) with a glass of water (room temperature or cold) so I find these 3 helped me in reducing my uric acid and I got attacked on November 20, 2017-Jan 24, 2018. After this period till now I have no signs of attack of gout.. workouts every day and proper diet not restricted with sugary foods and ate few varieties of chicken and fishes and still my uric acid reduced to normal as I maintained those three (lemon, coconut oil & apple cider mother), proper diet and exercises. I want to share this because someone who is suffering may follow this and they may get relief to their pain… I suggest that all people who suffer may not get relief with these 3 but can try these 3 and also find some other remedies depending on nature of ur body which helps to reduce your gout and follow them strictly, so no gout attacks may occur again .. My dream is for no gout in this world.. 3 lemons, 2 table spoon apple cider vinegar mother and 30-40 gms of virgin coconul oit per day. I agree with you 100% because I am also taking lemon juice and apple cider vinegar to avoid gout. I am a regular patient of gout since 15 years. My last gout attack was about January 2018. I drink apple cider vinegar three times a day and drink lemon water everyday. In two to three days, I drink lemon juice with baking soda. Until the date today, I have not had gout attack and have also consumed alcohol occasionally. However, I am avoiding other high protein food. I will take your advice on coconut oil with green tea. I take cherries when an attack comes, provided they are in season and on sale…if not, I will see the doctor for colchicine, prednisolone and naproxen. Have not tried lemon with water but if it can prevent why not? Just had my 6th attack in 2018 alone….doctor starting me on allopurinol….Thanks Spiro! I didn’t even know I had gout until my left foot (and later my right one began to swell intensely) last week. Saturday, I juiced 15 limes, and drank the juice raw along with ice. The next morning my foot was back to normal size almost. Yesterday, I juiced 25 limes yesterday, and drank those. I juiced 15 today. My uric acid level is 9.99 . Now I take allopurinol medicine as my doctor suggested, one tablet 100mg per day. How many days I take it? Is it for life? I need a diet plan also, but I can’t get any full diet plan. Thank you! Instead of lemon juice I eat half a lemon (raw) in the morning and another half in the evening. Is it better than lemon juice? Yeah it depends if you can eat it raw, most people don’t like it. It is better though! I have received my test reports with S Uric Acid (Enzymatic) levels at 8.6 while range is <7.0 mg/dL for males. Can you advise the course of action to bring to normal levels. PS: I’m a chain smoker and drinks lot of black coffee. Stop smoking and change your diet including your lifestyle. Read my post on Gout Diet to get yourself started! Can you eat the lemon or drink the lemon water while you have a gout flare up? I get gout in my big toes, elbows and ankles. I currently have a flare up, now my whole left foot is swollen and the medicine the doctor prescribed is so expensive. Yeah of course you can but how effective it will be? Only you will know, some people report it works great for them while others say it does nothing at all. I’d try my topical cream, it will at least remove some of the pain and swelling after a few days. Can you take bicarbonate of soda if you have had a kidney transplant.? Since you had kidney transplant, only your doctor can answer that, I don’t know enough information about your personal health. Is lemon/lime juice made from concentrate effective in place of fresh lemons squeezed? I have difficulty getting fresh lemons/limes. I’ve seen this question a number of times but have not been able to find an answer. Yes strive for fresh lemons or limes! Try ordering online, see if Amazon Fresh delivers to you. Hello I am suffering from gout last 2 years. Uric acid level is 10 in my body and am taking medicine but I want to ask that vitamin C rich fruits or food example lemon, oranges hisbiscus powder that can help to reduce uric acid from body? What is best diet for gout in vegetarian? Vitamin C definitely helps lower uric acid, studies have shown that. As for best gout diet, yes the less meat you eat and the more complex carbs like fresh vegetables, legumes, beans, whole grain breads, pastas and rices you eat, the better off you will be, simply because your body burns these foods clean, it doesn’t take much work for your kidneys to process them unlike meat, processed foods, sugar etc.. I seriously suffered from gout. Whenever I had a beer or even one glass of wine I was in pain, either in my big toes or in my fingers, knees or shoulders. I was always dosed with strong anti-inflammation drugs which never completely resolved the inflammation. I heard about lemon juice from a family member but didn’t believe in these home-brew medicine culture, because I have a little bit of medicine background – but the pain in the big toe (3 months) forced me to give it a try. I was really shocked by the result – 3 days and the pain reduced from a 9 to a 3 and after 2 weeks it was completely gone. Since then no more problems with this “magic” cure which I don’t understand – but it works and that is all I care about. I thought I just have to give you feedback of a skeptical disbeliever in home-brew medicines! First time gout attack.. Just sudden massive attack that sent me to the ER! So much pain.. I’m a strong 30 year old man but Wow! Most pain I ever had.. But my question is it normal for a first gout attack to last 40 days???? I had 2 big attacks and rest if the days mild pain.. my doc finally gave me allopurinol last week and Ive completely changed my diet lost 20 lbs in one month : ) .. but I’m afraid damage us done for such a long flare up over a month? 40 days? Wow, that is long! I’d go get a 2nd opinion from another doctor if I were you and have another doctor re-examine you completely to see if there is anything else involved. My Mom has gout and is taking a daily medication to control the citric acid in her body. She eats all of the proper foods and drinks water but has added Lemon juice to her water. She says that she has noticed that her arthritis seems to flare up when she drinks the Lemon water. Should she be taking the Lemon Juice with the citric acid medication?? Hi Spiro, Thank you for your site it has helped a lot in teaching me about this gout and uric acid. I have been suffering for at lest 4 years with this pain which started in my toes and now since 2 years ago came all the way up to my ankles and sometimes legs. I never knew about gout until a friend told me that my symptoms sound like I have it. Now my new dr tells me I have high uric acid which is pH 5. I suffer with the pain on a daily basis. I need to know what to do to get rid of this pain that I suffer with daily. I am diabetic due to me having my gallbladder removed I am learning that my uric acid is the main culprit to my many health problems. I cannot deal with this pain anymore. I need a fast relief remedy preferably without pills. I live in Cairo Egypt which it has been hard for me to find tart cherries and cherry juice or nettle anything. PLEASE HELP!!! Like I say on my website and book, you gotta follow a strict gout diet, it will help you. The formula is not complicated but rather simple. Eat 80% of your daily calories as complex carbohydrates like vegetables, whole grains breads, pastas, rices, quinoa, seeds, beans, nuts. Then eat meat sparingly, make sure it is lean and make sure it comprises of 10% of your daily calories. If you want to be a vegetarian and skip the meat, go right ahead, you’ll be better for it anyway. Lastly, eat the final 10% of your daily calories as fat like milk, cheese, yogurt, butter, eggs etc… Make sure to drink mostly water and teas. No juices, soft drinks or alcohol please. 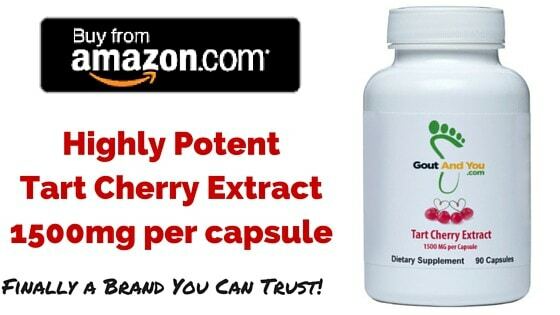 By the way you can order my Tart Cherry Extract from Ebay, I ship internationally. Gout sufferer 5 years. Mainly controlled by celery seed supplements until now. Blood pressure went up so was given diuretic with my blood pressure pill. Caused low potassium levels and frequent urination. Got off diuretic and my potassium level normal again. Also diagnosed with fatty liver and I only have one kidney so reluctant to take more medicines. Want natural solution if possible and don’t want to worsen my liver enzymes or damage my one kidney. Starting lemon lime solution today. The best advice I can give you is to follow a strict gout diet then. I’d eliminate meat completely in your situation and just eat complex carbs as in mostly vegetables, beans for protein, whole grain breads, pastas and rices. And I would drink nothing else but water, tea and coffee. Yes you can take dietary supplements as well but remember all they are is a food that is more concentrated. You can take NutriGout which has turmeric root, milk thistle extract, dandelion extract, bromelain from pineapple, celery seed and chanca piedra which all help flush out excess uric acid and keep your liver and kidneys healthy. Cherries are excellent to treat Gout. Natural cherries which are fresh. I had to eat so many so I went to a health food store and got some Tree of Life brand black cherry extract. It’s almost like a syrup. I put 2 tablespoons in a glass and 4 ounces of water and stir it well and drink that every morning and watch my diet and there are no problems. My gout is sudden and awful but this has eliminated my problems and mine was very serious and severely crippling. If I sent anything coming I just take another dose. Hi Spiro – How long does it take for Uric Acid to change levels? I have had 2 Gout attacks, the second (MAY2016) worse than the first (MAR2015). I have changed my diet completely (no meat, no alcohol, I drink LOTs of water thru out the day and evening, most with lemon, eat mainly fruits and dairy daily. NO processed foods or desserts. I have lost 23 pounds but my Uric Acid number was 7.6 on 25AUG2016 from the lab. I don’t get it? What am I doing wrong? I am trying to get the number below 6.5. Can you suggest something for me? Thank you in Advance. Your 7.6 number, was there any progress there? Usually check after 60 days to see changes in uric acid levels. Are you eating mostly vegetables, beans, whole grain breads, pastas, rices ??? And drink only water? make sure food is never fried, cooked or boiled mainly. No, I actually went from a 7.3 to a 7.6 and the test was within 30 days of each other. I had eaten a hamburger and some chicken during that time though. That is why I was asking how quickly the levels change??? I am having to make the decision to completely NOT eat meat if it changes my level so quickly. dedication but I feel better now too though and it has gotten easier as I stick to it. Breakfast – I eat an Activia yogurt with water and 1 cup of coffee (with stevia and a little creamer). Dinner – Is never really planned, but I don’t eat meat (usually) and I don’t drink alcohol. I don’t eat desserts or candy. I don’t eat fried foods, except (french fries once in a blue moon). I don’t eat seafood. 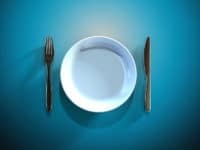 I usually try to eat a green salad or fruit salad or baked potatoes with fixings on it (no bacon), or some pasta and pressure cooked fresh green beans, or if we go out to a restaurant (once a week) I try to eat as clean as possible. I do give in to Chili’s chips and salsa and I drink LOTs of water with lemons in it. I am just confused how the Uric Acid Levels can change so much?? How fast does the Uric Acid Crystallization dissolve???? What can I do to make the UA Crystals go away completely??? I appreciate ANYTHING you can suggest for me. Hope I‘m not taking too much of your time. Another important question I have is do you take any other prescription drugs for anything else? Usually prescription drugs will keep uric acid levels high. My recommendation is to keep with your diet and check again after another 30 days. I always recommend 60 days at least when checking your uric acid levels and see what results you get then. If you just implemented all these changes, then give it another month. I wish someone could, would, explain this. MEDICAL-type websites are saying that oranges/juice makes gout WORSE! I fail to understand why some sites are saying oranges will HELP, and some say oranges will make things WORSE!! Just do a search for: “gout” “oranges” OR “orange”, and look at the contradictory crap you’ll see! You’ll also see the same discrepancies with grapefruit! Taking Citrus Fruits increases Gout problem. If don`t agree please get your blood tested before and after taking citrus fruits within a day or so… U will see the rise. My name is Bhushan ,There is a constant swelling in my Big Toe and i approached orthopedic doctor. After a blood test he found Uric Acid level as 6.6 (Sure & HB is normal)and concluded that it is not a Gout problem but your body will have a higher side of Uric Acid hence your Big Toe has a swelling . As per your blogs for Home Remedy on Gout i started drinking enough water and also included lemon in my diet. My question is shall i start my day by taking the lemon juice ( without sugar and 1 lemon with normal water)? Question 2: Its been almost 2 weeks from taking medicine and working on Home Remedies ,Swelling at Big Toe is not minimizes to normal position , plz suggest. To answer your questions, yes it is preferable to take the lemon water without any sugar and if you want you can start your day with that. Everybody should drink water first thing in the morning, your body hasn’t had it for 6-8 hours depending how long you sleep, so before having that cup of coffee it is best to drink a glass of water and if you want add lemon. To answer your 2nd question, I don’t know the medication you are taking and I don’t offer any advice on medication since I am not a doctor, only diet and nutrition advice. Best to speak to your doctor about your medication and condition and as for home remedies, what are you using other than lemon water? Thanks Spiro for your helpful advice!! d) Doctor also suggested me to stop consumption of Red Meat and Alcohol. 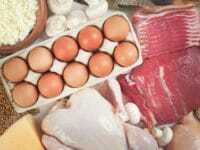 I am a vegetarian and only takes egg as a protein source also I don’t consume alcohol. e) One of my friends suggested not to take water immediately after a meal hence I take the 25-30 min break and then consume water . f) 1 Banana a day. You’re doing great! The hard part is keeping it up. Stay disciplined. My name is Ketan and I am 17 years old and my uric acid level is 5.4. Is this level too high? Please tell me the right way to reduce it. What medicine can I take? Please reply to my comment and tell me how I can lower my uric acid level. Go see your doctor and as for medication to lower your uric acid, most likely your doctor will prescribe you with allopurinol, it is considered the best uric acid lowering drug for gout patients. Hello Sir, My name is Raja and i have been suffering from Gouty Arthritis from 45 days and there is swelling on my left feet. I was unable to walk for few days and later on i was prescribed to have Zyloric Tabs for 3 months course. I just want to get rid of these tabs. Could you please suggest me the natural ways of treating this Gout. Your prompt response is highly appreciated. Hi! My uric acid is high about 8.7 and I have swelling in both my legs. Can I take lemon with honey to reduce the uric acid? It’s a popular natural home remedy that has worked for other gout sufferers. Try it! 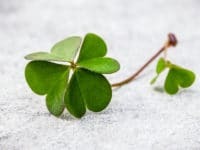 You have nothing to lose, if it doesn’t work, something else might work for you. See post on most popular natural home remedies for gout. I was scared that I wouldn’t be able to eat lemons or oranges anymore because they had the word “acid” in them (citric acid). This article is good news! You can take vitamin E but it doesn’t have any beneficial effects in excreting uric acid like vitamin C does for example. Hi Spiro,just come across your site, as a long time sufferer of gout, (it runs in my family)I have been on one allopurinol a day and when a attack comes on I take lengout every 6hrs makes me sick,mine are savage attacks sometime bedridden, I took vitamin C powder for a while, did ok now take lemon/honey first thing in the AM plus organic apple cider vinegar at night, cleared up last attack quick, plus baking soda and lemon twice a day 1/2 a teaspoon, juice of one lemon,w ill keep you posted on progress, thanks for a great site. Thanks for your personal insights and keep us up-to-date with your progress! This information sounds quite good and makes common good sense to me. This chap has it really bad, I’m in my first 2 years, and anything that sounds sensible to me is information that I will channel for myself. Thank you everyone for your experiences and your homespun remedies. I’m grateful, especially to you Spiros for creating this much needed chat site. Cheers. Hello Sir, i have a high uric acid and i cannot take lemon with warm water as i hv acidity, so i can i take lime juice with warm water. will the uric acid will be cured? Yes lime juice is fine but there is no guarantees that it will cure you. Is it beneficial to put raw lemon juice on the body? I am asking because I have uric acid. I don’t think so. There are at least 10 other natural home remedies I’d start with beforehand. G’day Spiro. First of all, thank you for creating a list such as this. I was diagnosed with gout a few years back. The medication I was taking (meloxicam and colchicine) has attacked my kidneys and now I have stones as well as high uric acid level. I’m becoming more determined by researching everyday to repair the damage naturally. I have started to detox my kidneys by drinking a glass of cilantro daily. I do understand that Cilantro is high in purines which is probably why I have an attack now. However, from what I’ve gathered so far it seems that kidney detox like Cilantro and other Fruits/Veg are also high purine. For gout treatment I’m drinking Chery Juice and eating Cherries as well as a banana every day. I just started taking Vitamin C tablets. What I want to know is…Am I doing the right thing by trying to detox the kidneys first? Yes detoxing kidneys is very important for a gout sufferer, cilantro is not high in purines, I don’t know who told you that but anyway, try and add ilk thistle, turmeric, garlic, ginger, dandelion, nettle, yarrow and make sure to drink plenty of water. This will optimize your kidney function. I have suffered gout for 20 years and control it with allopurinol and ibuprofen but my levels still vary wildly from 3.9 – 19. 7 mg/dl in a single month – can my diet have such a massive impact? It can only help, it won’t worsen it, that’s for sure! Hello. I am 33 weeks pregnant and the doctor just confirmed that I have high level of uric acid in my blood which is 9.8mg/dL. I am very worried about it. But fortunately I do not experience any pain in my joints, just some swelling but no pain at all. Will the lemon water help with my condition? I did ask the doctors but they don’t really believe in natural remedies. I am due for another blood test this weekend and if it’s still high I will be admitted to the hospital, which I dread! Everybody responds differently. Try it! 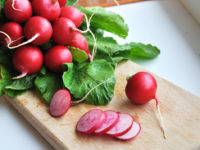 You got nothing to lose but I find a collective variety of natural remedies will work better and quicker like also taking apple cider vinegar, eating cherries or drinking cherry juice, adding a bit of turmeric, cinnamon and flax seeds in your diet and many more which you can read on my site. Baking Soda with lime juice first thing in the morning and just before bed brings down an attack in just 2 days. I also take 500mg X 3 vitamin C and 500 mg X 2 bromelain/quercetin during an attack. sounds good.. what about using lemon juice from concentrate? how much of that ? Fresh lemons all the way! No concentrate! My ebook has more info on concentrate but generally speaking it’s not good for us. This is my first time getting gout and got it on my ankle and now going on day 13. My doctor prescribed Indocin for pain and inflammation, but hate the side effects of diareaha and headache’s. So my doctor also prescribed Zantac for help the stomach problems. I’ve been taking black cherry juice also daily since my 2nd day into this attack and not sure if its helping any. Also purchased a pill called Gout Resolve online me but to my doctors reccomendation, I’ve discontinued taking it after only 2 days. What other suggestions do you have for this pain as veteran of having gout? Is 13 days the norm for an attack? Should I mix lemon juice with berry juice to double up the anty? Hasn’t your doctor prescribed you Colchicine? Fastest way to get rid of the pain and inflammation. I just read your article today. I had read somewhere else that lemon could help reduce uric acid. Today I got good news that my uric acid level is 5.4, down from 8.4, 6 weeks ago. I have been having gout attacks for 4 years. I have been using half a lemon in glass or water about 4 to 5 days a week for about 5 weeks. The pill I was taking just was not doing the job but adding the lemon certainly did the trick for me. I found this website yesterday and am so glad I did. 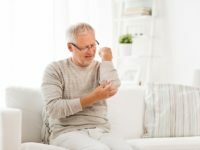 My partner suffers from gout attacks which have gone from happening every few years to now being 6 months apart, with the last one lasting three weeks which is much longer than previous attacks. He has been on gout medication for many years but it doesn’t appear to be working. We are leaving for a holiday to the US in four days and when he woke up with a full blown gout attack yesterday we were devastated. I found your website and made the lemon and bi-carb soda drink. Normally he isn’t into ‘natural’ remedies and was considering an injection into his ankle to see if that worked. Fortunately it was Sunday, so he gave your remedy a try just to make me happy. I drink lemon juice everyday and have a good supply of squeezed lemon juice ice blocks in my freezer. I find it easier just to juice a heap of lemons at once and make the ice blocks which are very convenient to have in a cup of boiling water. I do cheat and have a Stevia tablet to reduce the bitterness. But back to my partner. He woke this morning, and we cannot believe the difference, his ankle is still a bit stiff but he is mobile and so happy with himself that he has actually started his packing!! I will give him some more lemon drinks today, but am not sure if I need to put the bi-carb soda in it. Is that a once only treatment, or should he take that daily to prevent further attacks? Thank you so much for putting this article up, we are both so happy (and relieved) and hopefully, a simple cup of lemon juice will mean he has had his last attack. Rose, I drink lemon water almost every day for gout prevention and stimulates the liver! Not a big fan of baking soda although many gout patients swear by it. I’m just too scared that it raises my blood pressure cause the sodium levels are really high, so only put very little. How many times need to take the lemon juice to reduce uric acid level. Please suggest also can i eat banana to reduce uric level? Sumit, I drink it daily usually, one or 2 glasses at most. There is not one thing that will reduce your uric acid levels significantly but a combination of many dietary changes will do the trick. Eating a banana a day is part of my gout diet and should be part of yours cause potassium is very important. What about fresh lime juice? Is lime the same as lemon juice? Lemons are a richer source of vitamin C and folate than limes, with 39mg of vitamin C and 20ug of folate found in 100g of raw lemon juice, compared to 30mg of vitamin C and 10ug of folate in 100g of juice from a lime. I am a runner and my training was hampered by gout attacks which occurred about twice a month. I also had kidney stones on 2 occasions. Since taking a teaspoon of lemon juice in warm water first thing in the morning I have not had an attack for 6 years! 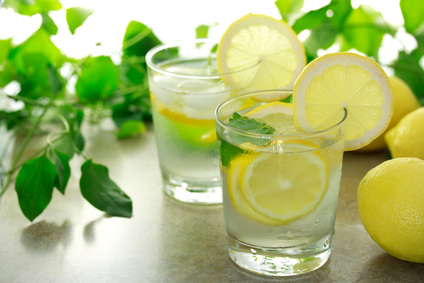 How many times you were taken the lemon juice in a day and with warm water or cold water? Please suggest. Lemon juice can be added in cold or hot water as in a tea. You can do either, there is no problem. Like I said once or twice daily is fine. Lemons and limes have eradicated my gout. 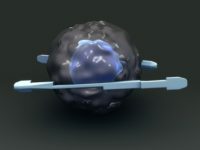 My gout had gotten so bad, I was having several attacks a year and between the attacks, the swelling would not go down. I started juicing a lime or lemon and adding the juice to about 8oz of water two or three times a day. I also started taking between 2000 to 5000mg of vitamin C spread throughout the day. Within 3 days, the swelling was completely gone as was the pain. Most importantly, it has now been almost 8 months and the gout symptoms have not returned. Give it a try, what have you got to lose ? Thanks for that Gout Hack Ted! Hey. I search Internet and found your useful blog. Many thanks. However, my doctor advise me that I should not drink sour fruit like lemons or oranges because it will make your gout worse. I found your article saying something opposite!!!!!. A big surprise. So can you explain more ? 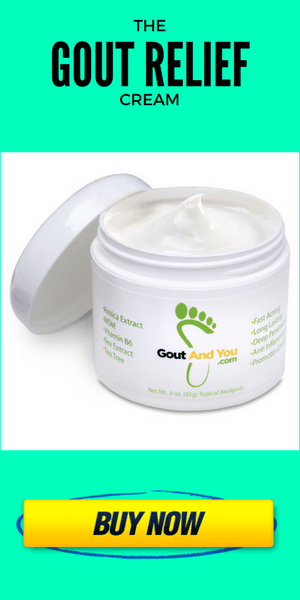 Why would it make your gout worse? It’s high in vitamin C and helps alkalize your body to lower your uric acid levels. Tell your doctor to read my post and to at least prove you wrong. Lemons are harmless to the gout sufferer. Enjoy them! Good to read this about lemons (and honey in another article) as I love lemons! As hypnotherapist, I often have a mug of hot honey & lemon, for the maintenance of my speaking voice, when I’m hypnotising a client. But as a gout sufferer, it’s nice to know that this combo is helping stave off gout too! Honestly I am not familiar with that brand so I definitely couldn’t give you an honest answer JMZ. Order it once and try it out for yourself would be the wisest thing to do here but if they usually claim they are made from real lemons in the USA then they probably are since these types of advertising/marketing is regulated on food products. I buy the small condiment cups and freeze individual servings of the fresh lemon or lime juice. You can use an ice cube tray to make single serving sizes and keep the frozen cubes in a ziplock bag if you cannot find the cups. I do this when the prices of lemons and limes are cheaper in season. Sounds like a good plan ‘B’ Laurie, thanks. Thanks S.K. (sorry for the belated response). I have suffered many long lasting gout attacks since 2008, mostly in my ankles and feet. I finally went to a Rheumatologist and found my uric acid level was 17ml/g. He prescribed colchicine, allopurinol and uloric. I took the allopurinol for over a year and still had attacks. I modified my diet and started using lemon juice in water daily. In 2 years I have had only 1 acute attack, it’s amazing! Just throwing this out there too, anyone whose having an acute, debilitating attack right now can go to a local clinic and get a cortico steroid shot that will take away the pain in about 10 minutes!! However you shouldn’t get multiple shots as the steroid will eat bone and tissue over time….it does take away the pain almost immediately though. My question is what can I do about the daily stiffness and minor swelling I have in my right ankle that is after affects of gout, but not an acute attack. You can take some foot baths with espom salt, others add apple cider vinegar to relax the muscles, I’ve also used Peroxide when experiencing stiffness and minor swelling. Fresh lemons aren’t easily attainable for me as I’m home bound and must depend on others to purchase my food so I have to buy them in numbers which often will not last until next store visit each month (time rot).. I would like to know if a certain packaged brand which states it is made from real lemon and are cold pressed then crystallized can be substituted for real lemons. I’ve tasted this and it’s exactly like the real thing but I’m unsure about the same nutrients. The brand is “True Lemon” manufactured by: True Citrus Co. They have told me through inquiry that these packs are real lemon and can be substituted.. They are also a business for profit so I would like a second unbiased opinion on this matter as I have gout and wouldn’t want to be wasting my time on something that otherwise could benefit me in the long run.. Thanks in advance for any information.